If you need to restart your ProTalk door entry system, there are two methods. Disconnect from the power supply - depending on your local configuration this may be from a 12V source which terminates in the lower left hand corner of the unit, or across Power over Ethernet (PoE) which terminates in the lower right hand corner of the unit. 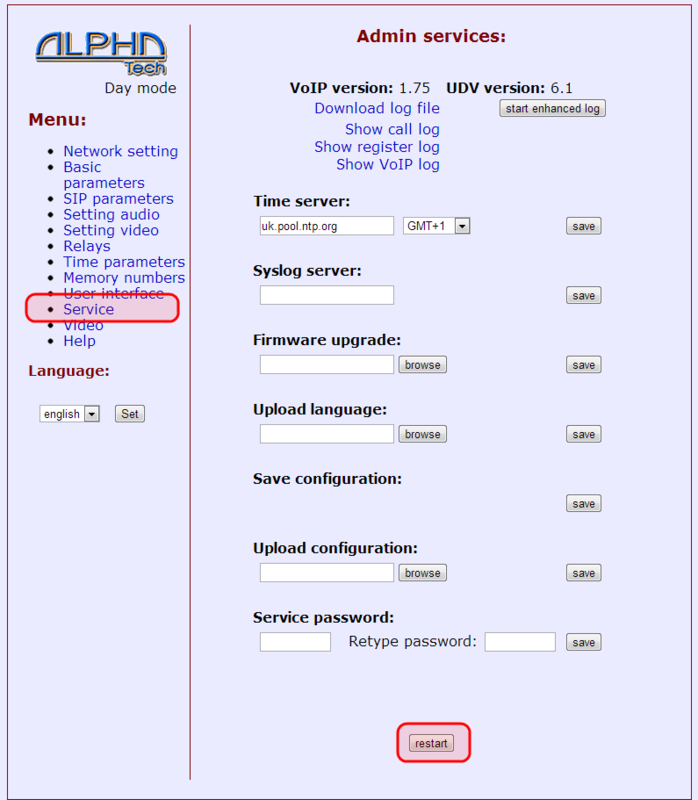 Login to the web interface and select Service from the left hand menu. At the bottom of this page click restart.